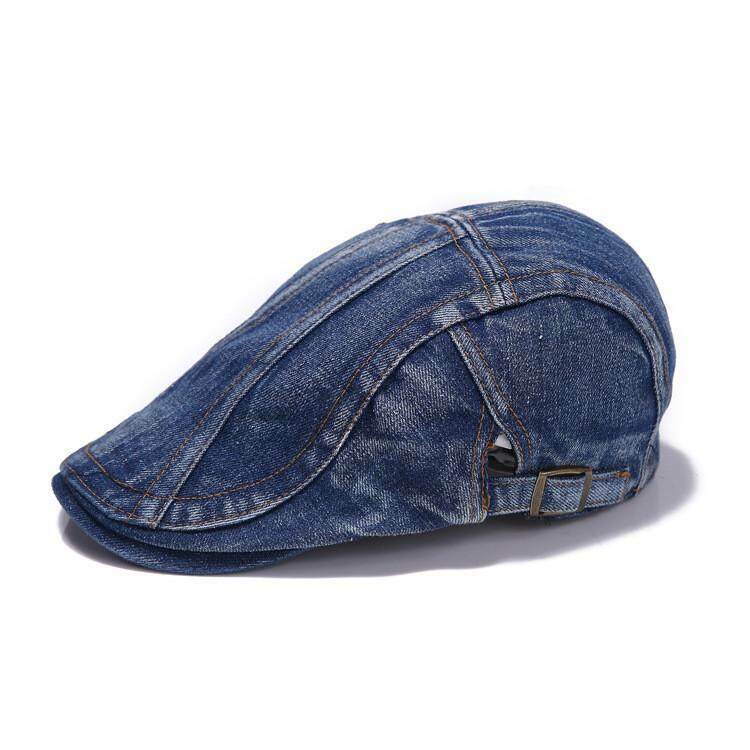 Description: Brand New Unisex Men Women Peaked Beret Cap Item Specifics: Gender: Unisex Style: Beret Material: Denim Pattern: Solid Color: Blue Size: One Size Head Circumference: About 54.5cm(Adjustable) Hat Brim Width: About 5.5cm Hat Depth: About 11cm （1cm=0.39Inches） Package Included: 1 pcs cap Note: 1.Please allow 1-3cm error due to manual measurement. Please make sure you do not mind before you bid. 2.The colors may have different as the difference display, please understand.